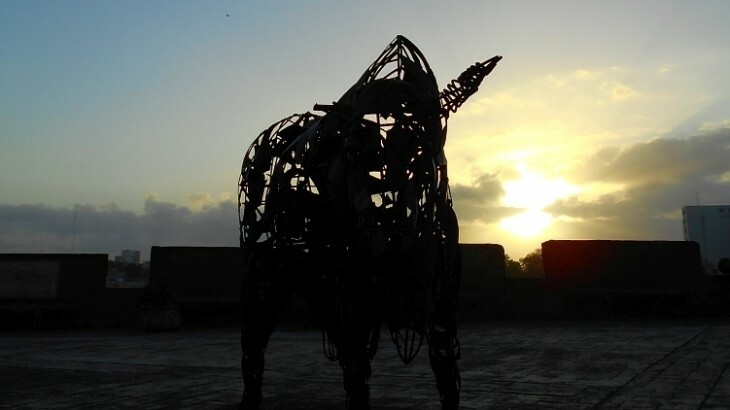 As the sun was brightening the skies this morning at The Plaza Reloj de Sol the metal bull, missing one of his horns, broods in the morning light. 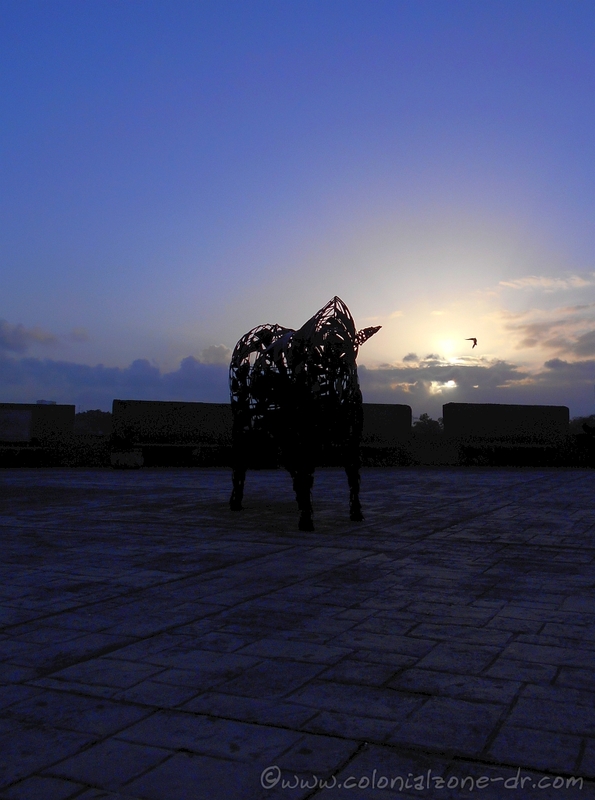 The Plaza Reloj de Sol where you can see the bull and the UNESCO monument the Reloj de Sol, one of the first Sun Dials in the New World. It was erected during the reign of Carlos III in 1753. Taken at exactly 6:40AM. 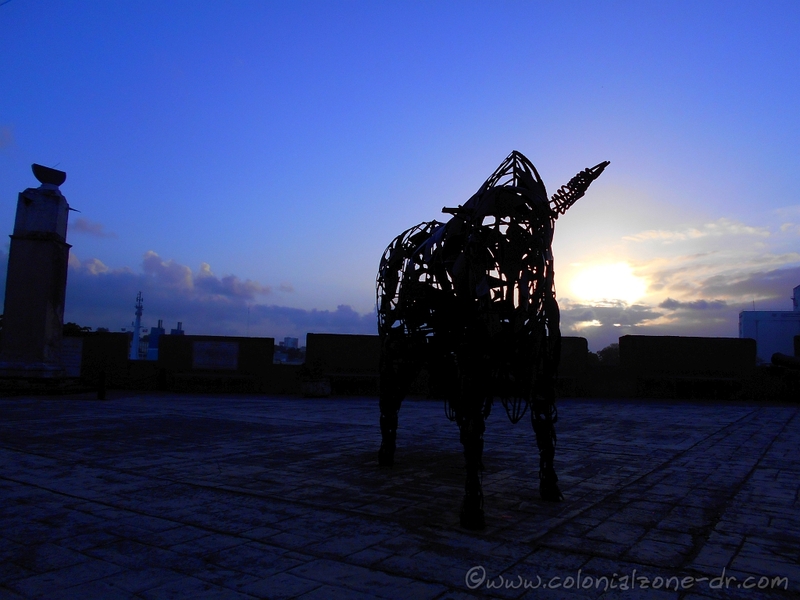 The suns rays are shining through the clouds brightening the Plaza as another day dawns in the Colonial City of Santo Domingo, Dominican Republic. 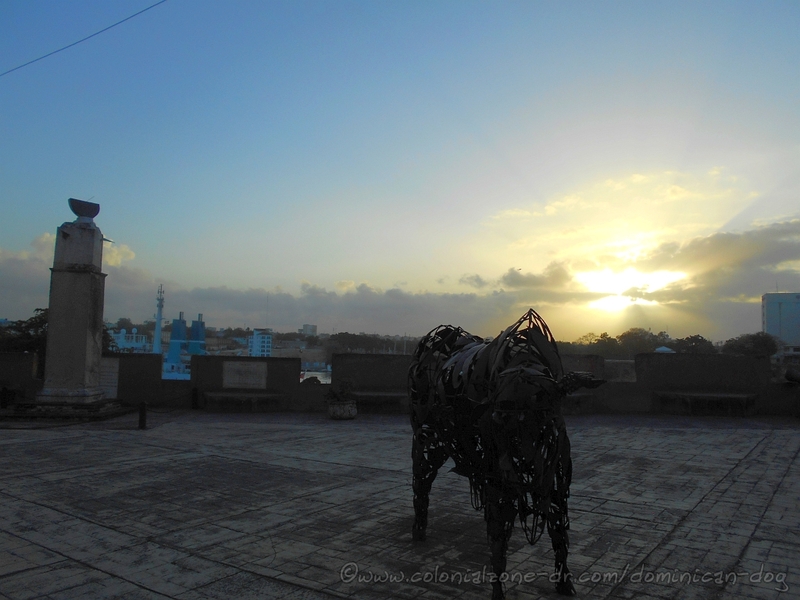 Pictures of the Day, Tourism bull, dawn, monument, morning, picture, picture of the day, pictures, reloj de sol, unesco. permalink.